Once cited in The New Times as “America’s pre-eminent expert on the subject of reincarnation,” Brian Weiss, M.D. built his career on being a leader in reincarnation research. Past life regression, future-life progression and the survival of the human soul after death have taken this psychiatrist down a both a unique and fulfilling path of spirituality. A traditional psychiatrist, emotionally conscious, and goal-driven towards leading a more meaningful life, Brian Weiss, M.D. approaches each new patient with his unique brand of healing through hypnosis. By delving into past-life traumas he is able to help his patients through a combination of meditation, healing, deep relaxation, and regression to work through areas in their life that they feel are blocks to success. The results of his therapeutic benefits of hypnotic regression have been nothing short of astonishing! at the New York University Medical Center. Upon completion he returned to Yale for a two-year residency in psychiatry. Brian’s goal was to complement his love of internal medicine with a strong foundation in past-life regression and reincarnation. The best way to do this, he felt, was to write books to educate his audience and reach the masses of people who needed his help worldwide. Thus, in 1988 he wrote his first book: Many Lives, Many Masters where he gained notoriety on the subject of reincarnation. He opened his mind to faith without proof as he chronicled one patient he regressed through 12 of her 86 past lives. He showed his audience how past life regression can be a powerful tool in healing emotional problems and phobias. The written word proved powerful and by 1997 another best-seller had been written Through Time Into Healing. Brian helps his patients by guiding them to heal their physical problems, relationships, inner and abused child, correcting obesity and eating disorders, correcting substance abuse, achieving mystical or spiritual insights, and regression simply to enrich their overall experience of the wonder of life. His bodies of work continued to delight his audiences and by 2005 wrote Same Soul, Many Bodies: Discover the Healing Power of Future Lives through Progression Therapy. The book is an illuminating eye opener into both healing and the future. Recognized as a gifted writer and best-selling author, in 2008, Brian’s career took a huge leap into the world of audio, recording his techniques of Meditation Regression that were to be used in between his patient’s sessions. Easily making the transition from books to audio CD’s, his Regressions to Times and Places and Spiritual Progress Through Regression and Regression Through the Mirrors of Time help put you into a very relaxing state of consciousness, a protective bubble of light, so you feel “safe” enough to let yourself go. One is able to release their mind from the time/space limitations so they can remember “everything.” Dr. Brian Weiss, career has consistently been an evolution of healing for both himself and his patients. His groundbreaking work in past-life regression shows us that we have all lived past lives. All of us will live future ones. What we do in this life will influence our lives to come as we evolve toward immortality. 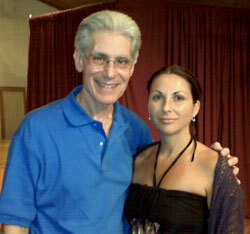 Today, Dr. Brian Weiss resides with his wife Carol in Miami, Florida. Not taking any new patients, he has focused his energies on conducting public seminars on the subject of reincarnation. He is the Chairman Emeritus of the Department of Psychiatry at the Mount Sinai Medical Center in Miami and Clinical Associate Professor of Psychiatry at the University of Miami School of Medicine. Brian maintains a personal website at www.brianweiss.com where additional information regarding his career and credentials can be found.